There’s no denying that good quality sleep makes us better functioning humans. Multiple studies back this up as they continue to prove how important sleep is for health. Getting enough sleep is crucial for increased performance at work, creating better relationships, and can even help you lose weight. Internal organs, tissues, and muscles rest, recover, and are repaired. Basically, your entire system resets, gets cleaned out, and preps for the next day. But, when you don’t sleep enough, your body misses out on the precious time needed to perform these critical physiological tasks. Ideally, as an adult, you want to clock in 7-9 hours of beauty sleep a night but with your busy schedule, this might seem impossible. But, by starting off slowing, like getting to bed 15 min earlier and then increasing the time as you go, you’ll train your body into a new routine. The importance of sleep is gaining increased recognition even with professional athletes and celebrities like Tom Brady, Beyonce, and Jennifer Lopez. They all prioritize sleep as much as training or rehearsing and it’s propelled them into becoming incredibly successful within their fields. I mean, anything that brings me closer to the likeness of Beyonce’s fierceness; sign me up! The impact of sleep is clearly shown in a 2011 sleep study conducted with eleven members of the Standford basketball team. These team members wore sleep sensors and were instructed to sleep at least 10 h/night for two weeks. The players who slept longer increased their sprint time by .7 seconds, free throws by 9%, and three-pointers 9.2%. This could easily mean the difference between winning or losing a championship. If you’ve reached a plateau with your weight loss, have a hard time concentrating at work, forget your keys everywhere, or constantly argue with your partner, chances are you need more sleep. Good quality sleep is the ultimate performance-enhancer so, just imagine how better sleep can enhance your life? So, wondering how you can improve your sleep? 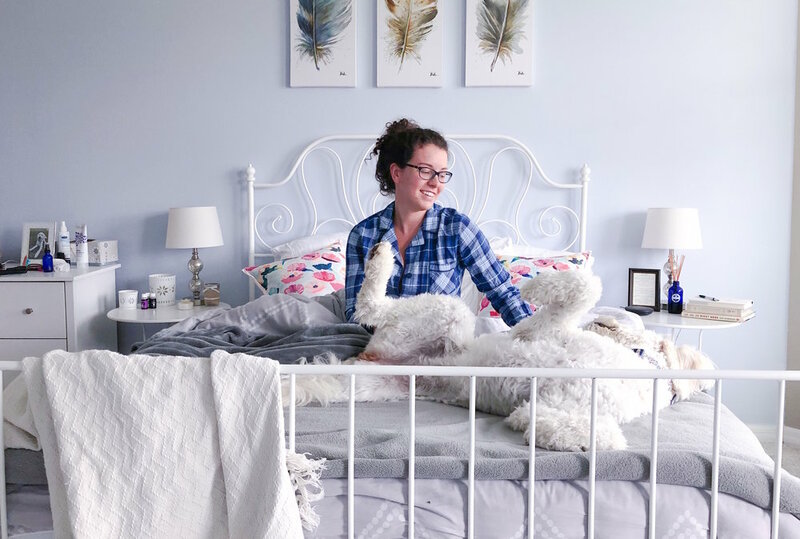 The tips below will help you create relaxing evening and morning routines so you can fall asleep quicker and wake up refreshed (even if you’re not a morning person). If you want to snooze the night away like never before, create a relaxing bedtime routine. This signals to your body that it’s time for rest so you can fall asleep quicker and sleep deeper. Many of us continue working or mindlessly scroll through social media even when we get into bed (totally guilty of this)! Make those 20-15 min before you close your eyes as electronic free as possible. Read, write, color, meditate, stretch, spend quality time with your partner, take a hot shower/bath, or even tidy up your room are great activities to end your evening before hitting the sheets. Lately, I’ve been reading a few minutes before I turn off the lights. Right now I’m reading The Code of the Extraordinary Mind by Vishen Lakhiani, which questions why you’ve chosen certain beliefs about yourself and how to change the ones that don’t serve you. I highly recommend it if you’re looking for something new to read. Trust me when I say that your first 10 waking minutes set the tone for the rest of the day. If you’ve got a ridiculously loud alarm clock that could wake the dead, rush out of bed, and stress your way through traffic towards work, the rest of your day will feel just as jarring and stressful. So, make your mornings as relaxing as your evenings by taking 10-15 mins for yourself before your daily schedule takes over. Your day will be more productive and positive. The morning is the perfect time to journal 5-10 things you’re grateful for, do a quick workout, listen to a podcast/audiobook/TED talk while you get ready, or make yourself a killer breakfast. It doesn’t have to be complicated or take up hours of your time. Even a small task like making your bed in the morning has been proven to make you more productive for the rest of the day. If you have trouble with your sleep, creating bedtime and morning routines will significantly help your sleep habits. You’ll reduce the need for caffeine come 3 pm (no more brain-fog either), make better food choices, stick to your workouts, and even improve your mood. 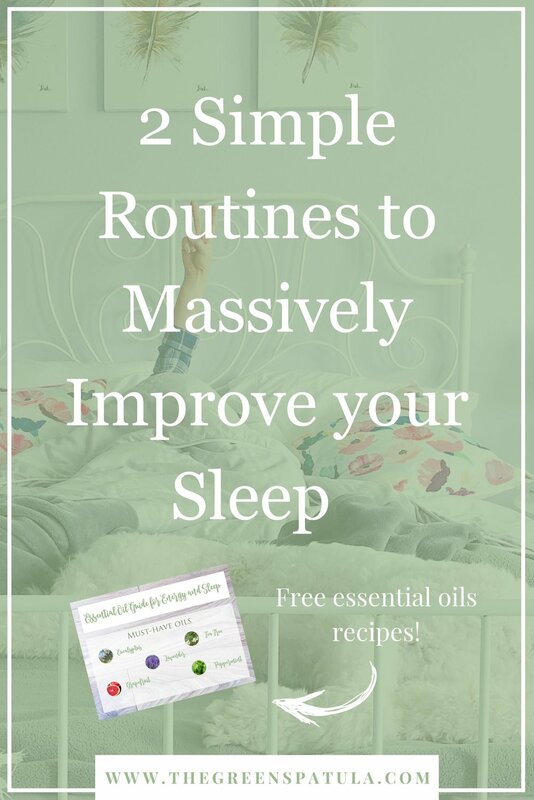 And you can do all this by simply getting more and better sleep. Time to hit the sheets! Tell me below what you plan to add to your bedtime/morning routine!